The January 2010 earthquake shattered Haiti’s teeming capital of Port-au-Prince, killing and maiming hundreds of thousands of people, rendering homeless hundreds of thousands more, and leaving the city in ruins with miles of buildings and homes collapsed and infrastructure broken. HRI worked in Port-au-Prince and Cap Haitien to stabilize communities through short-term, local interventions; supported the Government of Haiti by providing equipment and technical assistance; and increased citizen engagement through swift and accurate information dissemination. Facilitate short-term economic recovery through large-scale temporary job creation. Improve local government service delivery. Build government capacity to communicate key information to the public. 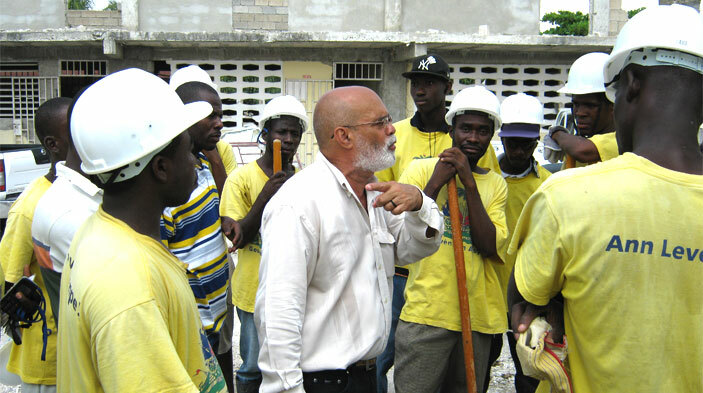 Rehabilitate temporary facilities to restore core Government of Haiti functions. Employed approximately 40,000 Haitians, including 12,000 women, to remove nearly 400,000 cubic meters of rubble. Cleared educational facilities to allow 22,500 students to return to school. Provided vocational training to 226 women and 24 men via two of Haiti’s vocational schools. Supported a “News You Can Use” broadcast on 30 radio stations to provide information on relief and recovery efforts following the earthquake. Established a 24-hour call center during first- and second-round presidential elections, giving 260,000 citizens accurate voting information. Layered several equipment provision and training activities at the National Port Authority to reduce ship docking time from between seven and eight hours to between two and three hours per ship. Trained 400,000 individuals on cholera prevention and awareness.